Here's what people are saying about Nocked! Nocked up for DraconCon best Mobile game! 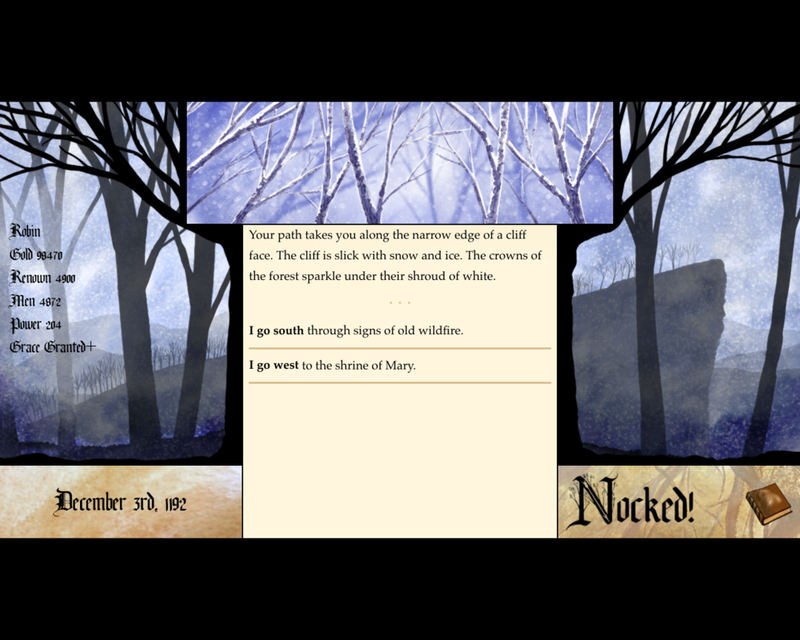 Nocked, the Golden Arrow edition, swings into action on your desktop (soon)! Check out our new gameplay trailer. A cinematic trailer for Nocked! 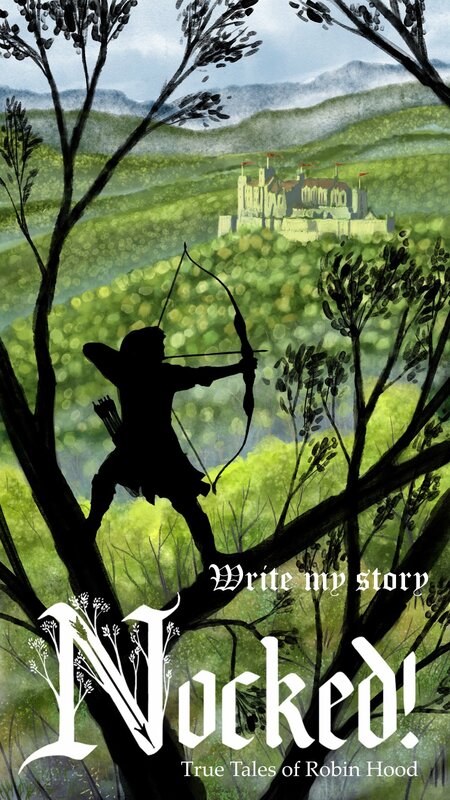 True Tales of Robin Hood. Disclaimer: There's no live-action in the game, but these spoof videos give a sense of the types of choices you can make on Robin's journey. Platforms: iOS 8 and up (iPhone, iPad, and iPod Touch); Mac & PC coming soon! Take Robin on the go with our handy iOS version, or experience a lush and vibrant Sherwood Forest on desktop with art inspired by Lotte Reiniger - an early animator/director/artist - combined with traditional watercolor techniques; and original music drawn from medieval sources (coming soon). Join the Free Men and Women of the Bow! Sign up with your email address to receive news, updates, and be entered in our occasional prize drawings. We respect your privacy. Your e-mails will only be used to send messenger arrows with information about Nocked! and harass the Sheriff of Nottingham. Three Cheers! Welcome to the Merry Men. Andrew G. Schneider (Writer and Game Designer) Andrew always wanted to be a wizard when he grew up; now he makes magic with words. When not writing, he hunts the wild dust bunny and makes a mean pot of French onion soup. He lives in Washington, D.C., believes in unicorns, and is married to a wonderful woman who believes in him. Ivan Oberholster (Music and Sound Design) Both a composer and sound engineer, Ivan has recorded and mixed more than 700 hours of foley for various TV shows and movies; he was also the head Supervising Music Editor for 80 M-net Africa films. He has qualifications in music theory, classical guitar, bass guitar, and composing classical music. He is based in Los Angeles.